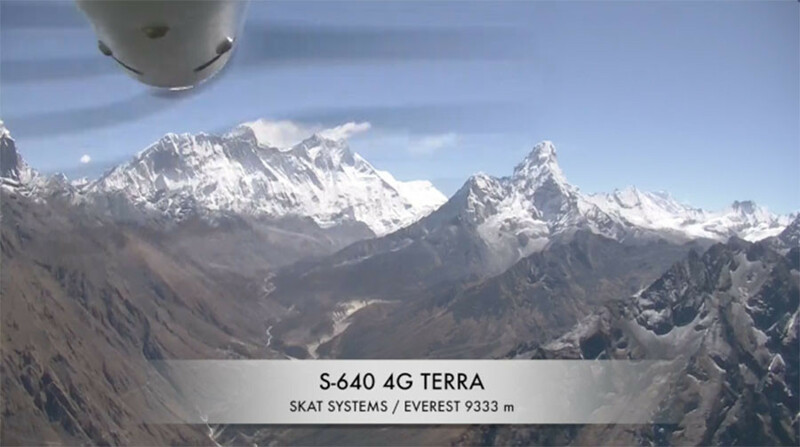 The Russian SKAT 640 4G TERRA unmanned aerial vehicle (UAV) has set the world flight altitude record for light aircraft weighing less than 1 ton by flying over the highest mountain on Earth, Everest. During the flight trial in the Himalayas conducted by the drone’s developers, the UAV reached an altitude of 9,333 meters (30,620ft) while flying over the world’s highest mountain. The record was confirmed by two Nepalese government agencies. The developers have already sent an application to the Guinness World Records, seeking recognition of the mark set by their drone, Russia’s Delovaya Tribuna newspaper reported. In addition to flying at a record altitude, the UAV had to battle against harsh flight conditions, as it faced thin air, an increased level of radiation background and subzero temperatures, as well as wind gusts of up to 27 meters per second. The UAV was launched from the village of Tengboche in northeast Nepal, 3,867 meters above sea level. It reached Everest in less than an hour, while the total flight duration amounted to an hour and a half. The developers say the flight was made by a non-customized serial aerial vehicle, adding that it shows ample opportunity for the use of this drone model. The flight test results showed the UAV’s “strong performance” at high altitudes in terms of maneuverability and controllability. The SKAT 640 4G TERRA is a “flying wing” drone model with an electric motor. However, the developers have not yet released any technical specifications. The idea of a drone able to operate in complicated relief and climatic conditions emerged back in 2016, the company’s director Sergey Belyuskin says. 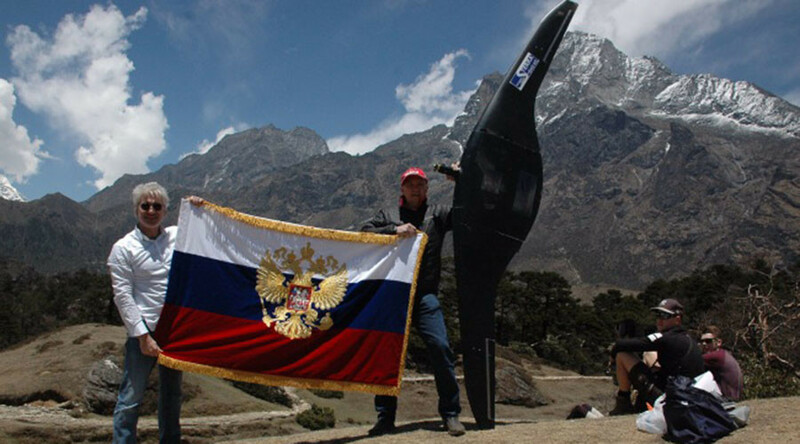 It took more than six months to prepare the flight and get permissions from the Russian authorities, as well as the Nepalese civil Aviation Ministry. Successful testing of the drone opens up more opportunities for its use by alpinists, land-surveyors and rescue teams, as well as the military, according to Dmitry Sharov, chief designer of at SKAT Systems, the company that developed the UAV. Mountaineers could now quickly conduct weather, ice and glacier reconnaissance at any time, while rescue services in mountainous regions could monitor the situation in avalanche-prone areas and plan rescue operations on the basis of real-time monitoring under any weather conditions. By using the drone, geodesists could also conduct aerial photo topographic surveys and obtain high resolution images without using helicopters or planes. The military could also carry out reconnaissance using the drone, or track targets in remote areas.